Thursday is Yogurt day around here. As in almost every Thursday I make a batch of yogurt. It surprises a lot of people that I make yogurt. It’s really not hard to make, once you do it a couple times. It doesn’t take a lot of time, most of the time it’s doing it’s thing, you don’t need to watch it! And it’s SO much better than store bought. 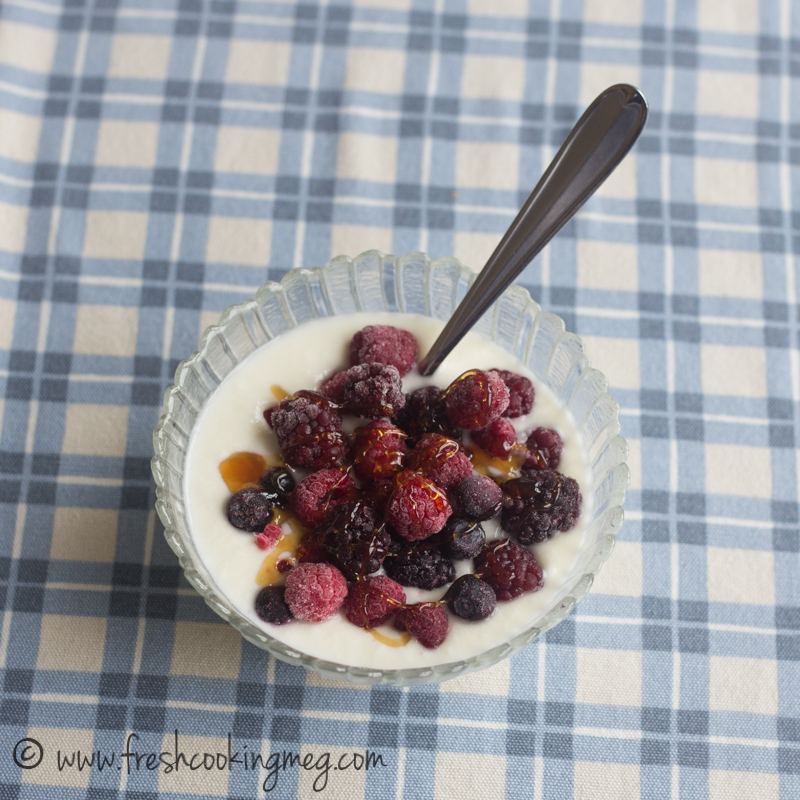 Most store bought yogurts now are not left to culture long enough, so there’s not as much of that good stuff in there. And because they can’t risk a “bad batch” that doesn’t come out quite the right texture, most have stabilizers and thickeners in them. Since yogurt is supposed to be an amazingly helpful food for your stomach and gut health, all that makes me sad! So if you’re convinced, here’s the how-to! 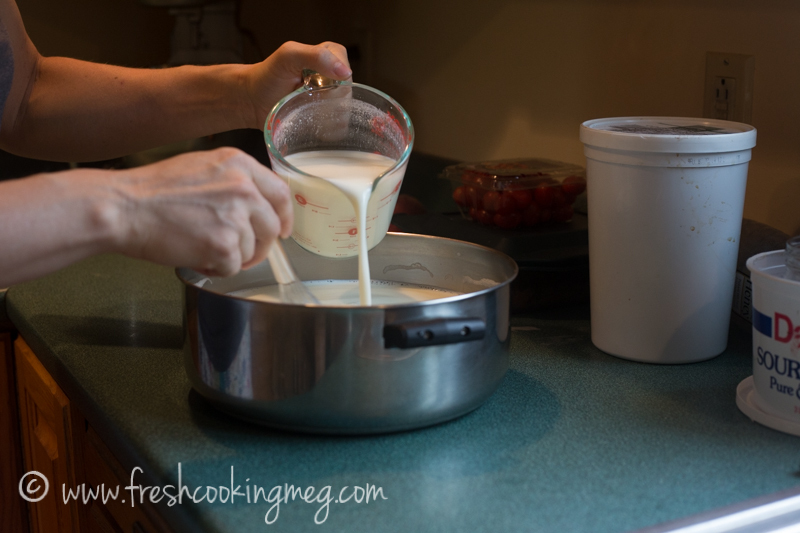 Milk – Store bought/fresh/raw it all works. You will need some! 😉 I get my milk from a local dairy, so I’m using raw, fresh whole milk. 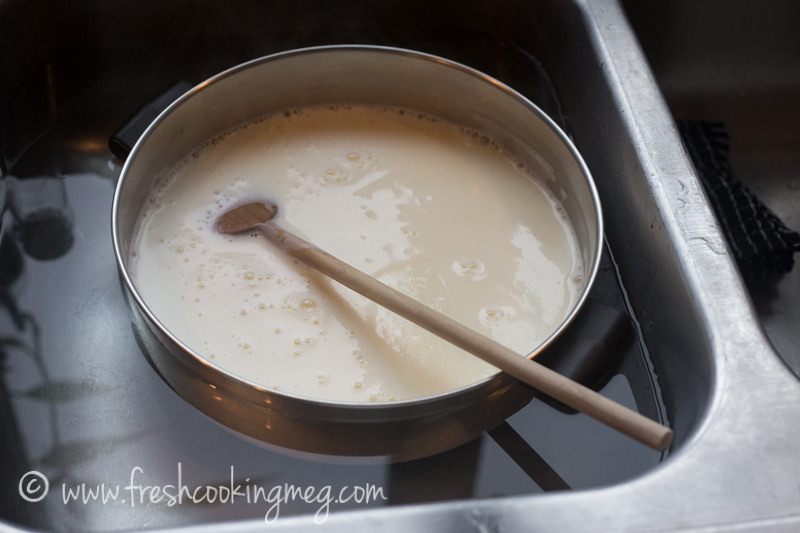 Starter – This refers to the cultures you will add to your milk to make it become yogurt instead of just warm sour milk that stayed out too long. 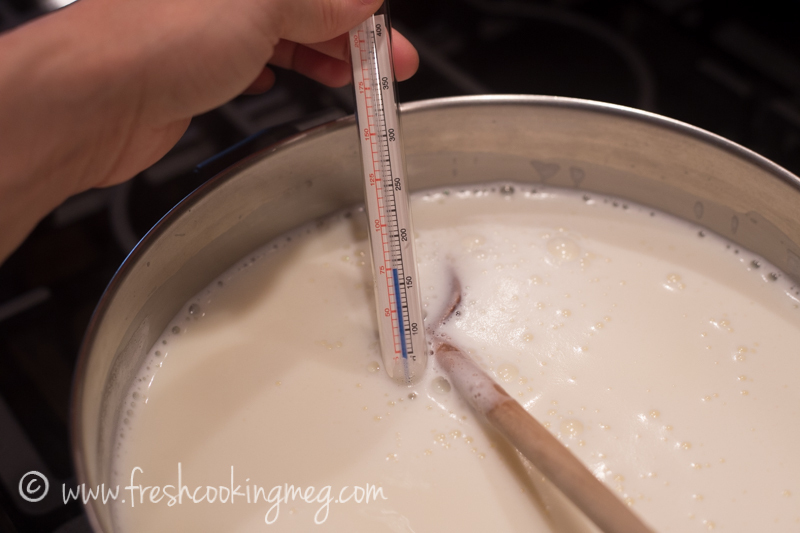 Basically, you are taking a few “cultures” in the form of your starter, adding them to plain warm milk, and letting them grow and multiply to make all that warm milk into yogurt. They make and sell “yogurt starter“, or you can use some already made yogurt. When I make it I use some from my last batch. 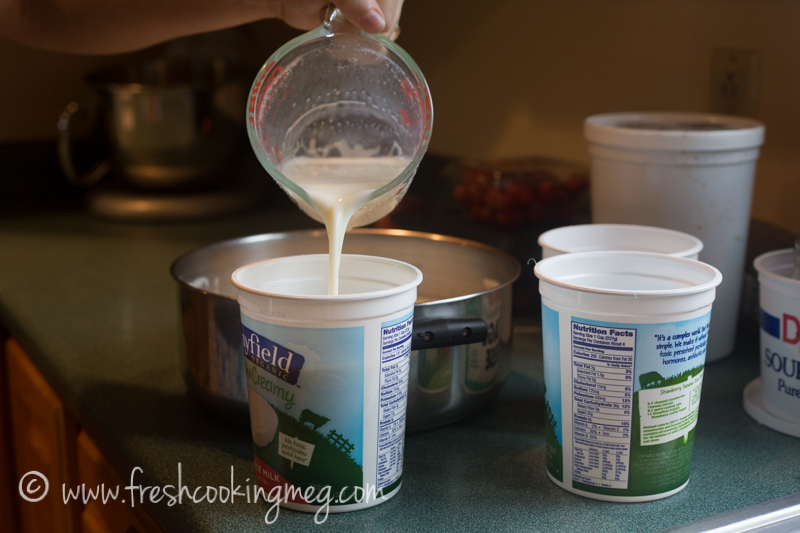 If you are starting your first batch, you can buy some yogurt in the store to use, however it has to be plain with no additives (check the ingredients). 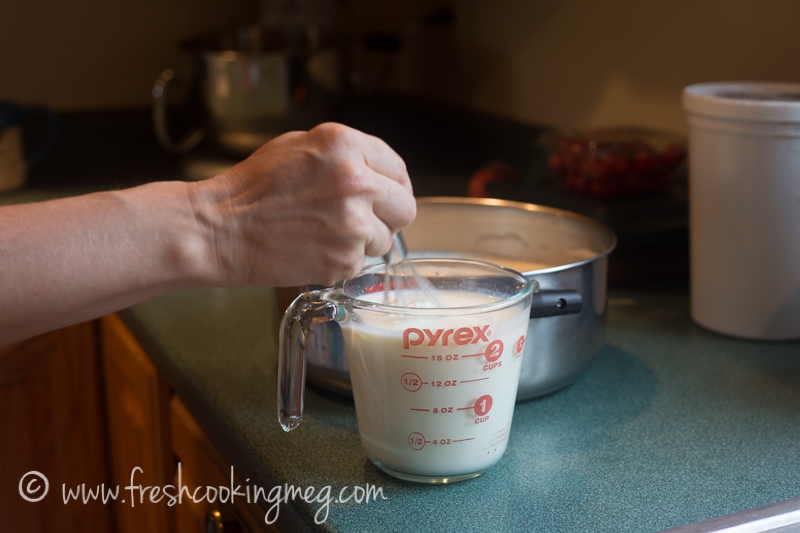 I’m using yogurt from my last batch, which I originally started from starter. 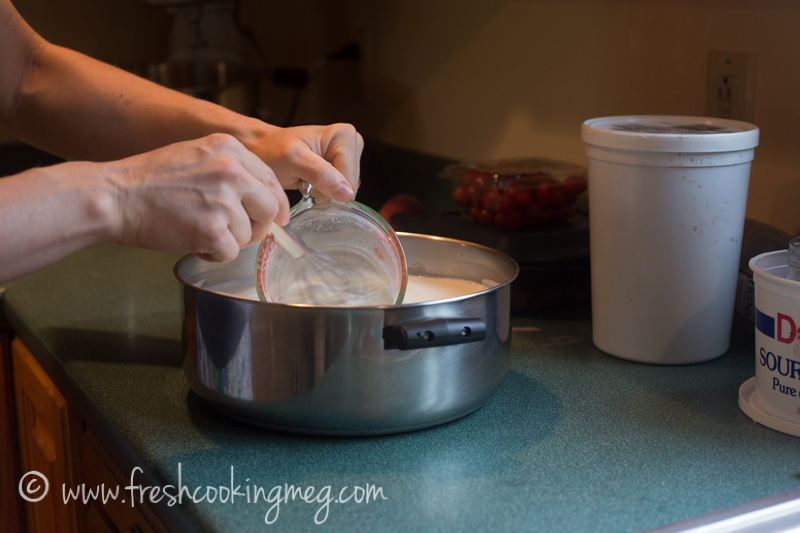 Warmth – Lastly, you need a way to keep your yogurt warm while it cultures. There are MANY methods. The important thing is to keep it around 105-115 for a certain amount of time. There are yogurt makers. You can use a crockpot. Or an oven. Or a cooler filled with hot water. Or a heating pad. Or a dehydrator… I have used the heating pad: wrapping Mason jars in towels on top of the pad. Last year I purchased a dehydrator for this purpose, which allows me to set a certain temp and walk away! (Plus I can make jerky 😉 ) I now use my Excaliber dehydrator. Continue stirring frequently as it cools. This will keep it from skimming over on top (yucky) and you can keep an eye on the temp to not cool too much! I cook my yogurt for 4 hours (I set a timer on my phone to remind me) at 115 degrees. After 4 hours I turn it down to 110 degrees and do another 4 hours. This is open to adjustments. If I’m not home it goes longer, if I forget it it goes longer… I never do shorter… Most cookbooks will say it’s done after 3 hours, as in it is yogurt consistency. But I prefer to give the cultures a lot longer than that to do their thing (SCD calls for 24 hr yogurt! You really can’t screw this up!) And I found by dropping the temp part way through made a milder yogurt, which is what we like. And yes, I’ve forgotten it and left it out overnight… It was probably great for us, but whoa was it strong! Once you’ve gotten some practice, don’t be afraid to experiment! 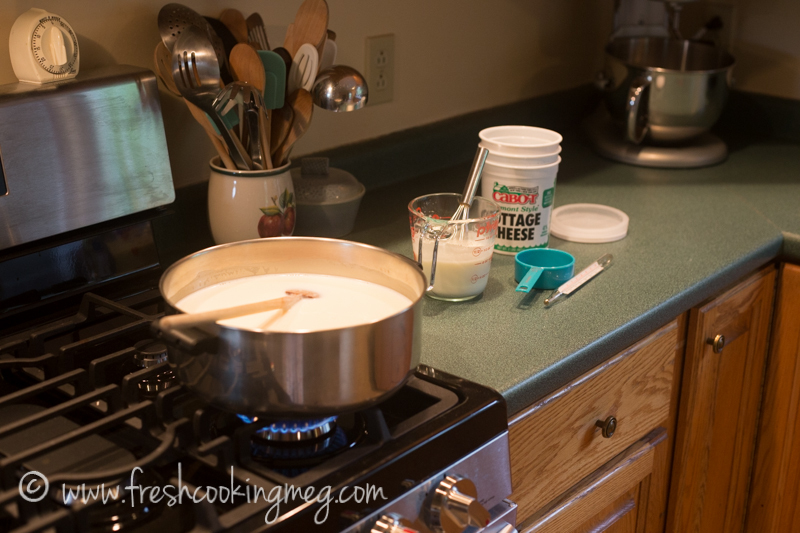 The “Official Ratio” of starter is 2 tablespoons per quart of milk. 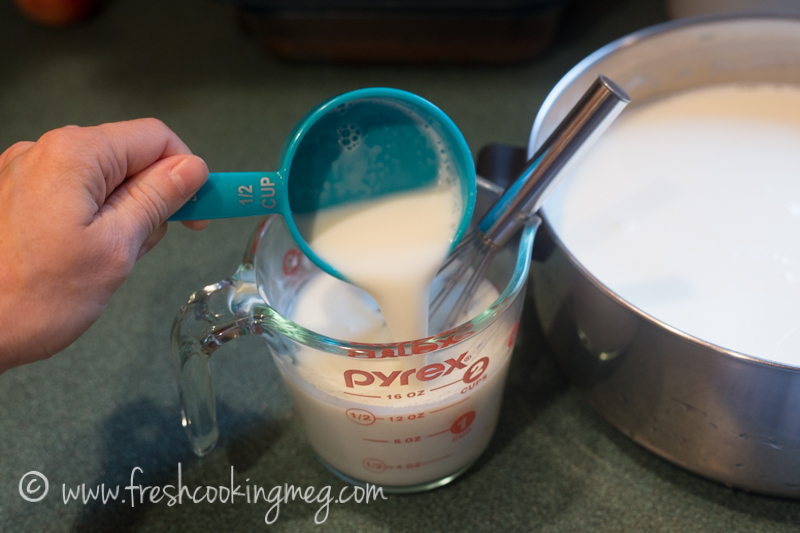 However, I use 1 cup of yogurt in a 3 quart batch, and don’t experience the gradual thinning that commonly happens. So I’m content to use a little extra! When you buy your first official starter, make a batch and freeze it in ice cube trays or other small containers. Then make a batch from that batch to eat. That first batch will have the strongest culture, and you can go back to it if your yogurt starts to get thin.